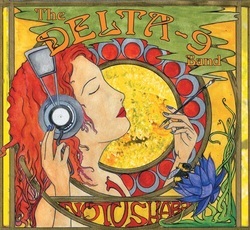 Delta-9 Band is a versatile jam band, incorporating a heavy dose of funk with strong elements of reggae, classic rock, and soul into the mix. The group has been playing clubs and festivals in the Wisconsin/Illinois/Indiana region since 2008, and released a full-length CD “Notushabi" in 2011. The band does mostly originals, as well as "deep cut" covers, digging into influences like Stevie Wonder, Bob Marley, The Meters, Outkast, Led Zeppelin, Ween, and way beyond.